200 Hour Yoga Studies & Teacher Training: "The Teacher Within"
This program is influential in San Diego for its integrated approach to training Yoga practitioners and certifying teachers. “The Teacher Within” supports spiritual development, skillful practice and embodying Yoga in all of life. We teach simple and profound practices that promote quality of life, healthy relationships, self-reliance and good laughs. Those who aim to teach receive expert guidance and tools for helping people balance their lives through Yoga. People helping people is what it’s all about! Contact us to get a New Year’s discount off advertised price! Urban Yogi is located inside DCompress Downtown, San Diego’s premier wellness studio, in Little Italy at the historic McClintock Warehouse building. Thanks for visiting Urban Yogi and for your interest in our 2019 YTT Program. We look forward to reading your thoughts on yoga and will return ours soon. Thank you for sharing. Namaste. The Teacher Within is a 200 hour teacher training program for cultivating your personal Yoga practice, through which you can guide others through Yoga in a safe, inclusive and meaningful way. The Teacher Within follows a unique format that draws from the Eight Limbed Path of Yoga and the seven main energy centers of the subtle body. Students learn to effectively integrate the physical, philosophical and practical aspects of classical Yogic science for self-healing and promoting quality of life for their students. Created by Susana Jones, E-RYT 200/RYT 500, this program was built in accordance with Yoga Alliance’s 200 hour standards and is a Registered Yoga School since 2013. Practice Clinics:* Thursdays, 6:00pm-8:00pm (Bi-Weekly) January 17, 31, February 14, 28, March 14, 28, April 11, 25, May 9. * Practice Clinic hours may be substituted for approved Contact Hours of instruction received outside of our training schedule. Assignments must be submitted that link the credits received to our program objectives. Email, call, or text Susana to discuss your interests with Yoga, and get answers to your questions about Urban Yogi’s YTT Programs. Includes required texts, materials, and access to audio recordings. Contact us to get a New Year’s discount off the advertised price above! Sign up with a friend and you'll both receive $100 off - Both registration fees must be paid and buddies named in advance. Discount will be deducted from total balance due. The registration fee is non-refundable. In the event that you decide not to complete the full training, a pro-rated amount for length of training received will be retained, and the rest refunded, minus credit card processing fees. Acts of God or any other circumstance that prevents the training from being offered as planned will warrant a full refund. Credentials: RYT 500, IAYT Yoga Therapist in Training, Registered Nurse, Reiki Master, Divine Light Healer and Certified Metaphysician. 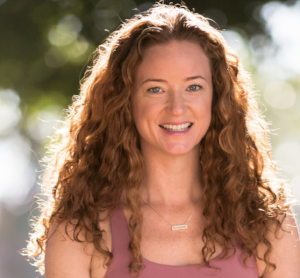 Topics Covered in "The Teacher Within"
Any therapeutic yoga components of Urban Yogi Teacher Training are based on Susana Jones' status as an IAYT Yoga Therapist in Training, not derived from our RYS status with Yoga Alliance. Urban Yogi makes no attempt or claim to diagnose, treat or cure any medical or psychological condition. Be the Change You Wish to See in the New Year! Are you ready to bring the light and joy of yoga more fully into your life? Register today to reserve your spot in Urban Yogi’s 2019, 200hr Yoga Studies & Teacher Training program before it fills up. Prospective students often wonder if they are at a level of experience in Yoga that's appropriate for enrolling in a teacher training program. This training is open to all who are willing to do the work that personal growth entails. It is important that the Yoga student creates time and space for their training. This entails shaping everyday life around Yoga training, rather than "fitting it in." We use what we learn about ourselves as students to inform ourselves as teachers and leaders. Many people choose to participate in this program to enrich their lives at large, more-so than to teach Yoga professionally. The wisdom that one stands to gain through this program is relevant to every aspect of our lives, including our chosen vocation, and all our relations. Come as you are. Contact Us or Apply Below to get a New Year’s discount off advertised price! Email, call, or text to meet me (Susana) to discuss Yoga, your practice, and your questions about Urban Yogi’s YTT Programs. I can’t wait to speak with you! What draws you to Yoga Studies or YTT? Thank you for visiting Urban Yogi and for your interest in our 2019 YTT Program. We will be in touch shortly. Namaste. Interested in 500 hours of Training? Join my 300 Hour Yoga Teacher Training in San Diego, for eligibility to register as RYT 500 with Yoga Alliance upon completion.